Picking that perfect lampshade for your nursery has just got a whole lot easier with this fabulous collection from Mondocherry. 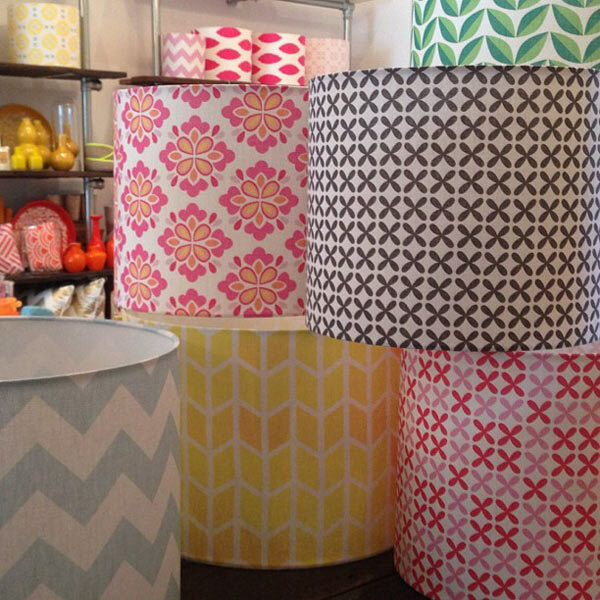 Mondocherry lampshades are the perfect way to add not only ambience but a delicious pop of colour to your nursery decor with their own gorgeous modern linen fabrics, designed and printed in Melbourne. Just about every colour of the rainbow is covered by Mondocherry with buttercup yellow, watermelon pink, apple green and duck egg blue all on offer in striking chevron, ikat, kiss, geometric and leaves print patterns. Such choices just beg to ask your lamp lighting style. Do you stick with a decor accent shade or choose a contrasting pop of colour? Mondocherry have available beautifully petite 20cm sized shades priced from $65 all the way up to generous 40cm shades (priced $175), plus all sizes in between – custom orders are also welcomed if you have a particular size in mind!